This 5 Minute Video by Allen Carr Could Help You Quit NOW! You've probably heard of him, you may have even done his course and read his books. His most famous being 'Easy Way To Stop Smoking'. It has sold over 6 million copies and has been translated into over 25 languages, so he must be doing something right, yes? Anyway, I was doing a bit of research, came across this video and thought I would post it to see if you can get something out of it. i will always give credit where credit is due, and Allen Carr deserves some credit. He was a REALLY heavy smoker and went through a personal journey, came out the other side and decide to share it with the world, and he's done pretty well to date. This clip will give you a small insight into the psychology of a smoker. This is the most important thing to address, after all, it's mostly a psychological dependency, a psychological crutch if you will. In the video he shares 4 myths that smokers have about quitting that are very helpful to recognize when you want to stop smoking and quit cigarettes once and for all. I truly hope you get something out of it. QuitWithNick in Junes Issue of Reader's Digest Australia! I just wanted to let you know that QuitWithNick is in this months, June's 2011, issue of Australia'sReaders Digest. I'm sure I don't have to tell you all how much of a respected publication this. I feel honored to be a part of this months issue. You might also like to know, that I have included a discount voucher in this issue. So if you bring it along, i'll give you the nominated amount off my usual rate of $495. I have already had a number of people calling and wanting to find out how this remarkable treatment works. Some of the callers have obviously been interstate, since this magazine is a nation wide publication. Even though I'm in Sydney, if you have 4 or more people interested in quitting, please get in touch. I wouold be happy to even go interstate and see you at an office in your capital city if you have a few people wanting to quit. Is a Change In Packaging REALLY Going to Make You Quit Cigarettes? Well, I guess it's a step in the right direction. The Australian Government is leading the world in taking action with regards to the currently brightly colored and alluring cigarette packs. Very soon, you're not going to be seeing all the fancy colors but an apparently boring, dreary lime green color. How did they arrive at this color you ask? Apparently a statistical poll was taken, and this was the least attractive color to smokers. Cigarette packets will now have the standard health warning (because we all know that those warnings help people quit cigarettes and stop smoking), as well as one little line with the brand and then the type under that. I find it kind of amusing how this has gotten so much attention. Sure, the tobacco companies are not going to like this, despite the huge savings and cost cutting they can expect in their respective graphic design and art departments, but is this move REALLY going to make smokers quit cigarettes and stop smoking all of a sudden? I mean, seriously, I can't really see a smoker saying; "Oh darn it, I guess I'm going to have to quit now that my pack of cigarettes no longer has that nice lovely picture of the beach with the sun setting over it". Somehow I can't imagine smokers going, "well, since my packet no longer has that really cool coat of arms on it, i guess there's no reason to keep smoking eh?" One thing it might do is prevent the kids from going for particular brands though. There might be some pictures and styles that appear more alluring to teens than others, but is this going to stop them from trying cigarettes when they are facing all the growing pains of teenage years, trying to fit in and "look cool". Once again I can't imagine a teenager being encouraged by his peers to try a cigarette, 'fit in' and 'look cool', but saying, 'no thanks I don't like the way that dull green pack looks, I'll pass thanks". hmm . . . unlikely, I'm sure you would agree. The simple bottom line is, YOU, the smoker will either be at that place where you are ready to decide to quit, or not. No matter how many restrictions are imposed on where, when and how you smoke, if you want to keep smoking, YOU WILL! no matter how much of an inconvenience it may be. You would think that the government would have figured out by now that placing more and more restrictions on any behavior judged to be harmful has never stopped people from doing it, it just makes them more creative, determined, defiant and resilient. When people hear the word âHypnosisâ, very different thoughts come into peoples heads. Often people have an idea what they think hypnosis is because of something they have either seen at a stage show, on TV or in movies. Even though this entertainment aspect of hypnosis has had broad reach in society, it unfortunately doesnât accurately represent the therapeutic hypnosis. The hypnosis that is used for entertainment is often very different to the hypnosis that is used for a therapeutic outcome such as quitting cigarettes, stress reduction and weight loss. Watch the video below to give you some idea of what you can expect while your hypnotized. Both of these types of hypnosis have only one common denominator, and that is, that it will not get you to do something that you do not want to do. Some people believe that hypnosis is some sort of power, a type of voodoo that can get you to do things against your will. But this is ridiculous really. It quite obviously can not do that if you think about what is actually happening during a hypnosis session. Hypnosis is basically words coming out of a therapistâs mouth, designed to lead you into a nice relaxed state. How you listen internally and participate is the most important element. Words coming out of a hypnotherapists mouth can never make your body and mind do something that is either against itâs will, like cluck like a chicken, or something that it really doesnât want to do, like quit cigarettes. However if client and therapist are working towards a desired outcome, then hypnosis can be a very effective, fun and relaxing way to effect positive behavioural changes and outcomes. People will often ask me if anyone can be hypnotised, believing that not everyone can be. However there is a flaw in their question in that they are asking this question often assuming that hypnosis is something that is done âonâ or to âthemâ, meaning that it can either work âon themâ or not. This is simply a misconception. Hypnosis is basically a technique a used to guide a client into a state that every person naturally drifts in and out of often without them even realising it. People will not use the words, âI was in a hypnotic tranceâ, but they might say things like; âI was in the zone, I zoned out, I was day dreaming, I was a million miles away, I tuned out, the lights are on but no oneâs homeâ. Iâm sure you have used these terms before to describe a situation where you were âthere but you werenâtâ. Simple examples include driving a car being in a kind of mental daze where you miss a turn off or end up in a place and have had no idea how you got there. Other examples include when youâre watching TV or reading a book. These things can have your attention so firmly, that you wonât even realise that someone else in the room is trying to have a conversation with you. These are all examples of being in a hypnotic state. And because of these things, the question then becomes not can you be hypnotised, but how resistant are you to allowing someone else guide into that state in a particular time. This is the crucial element. For someone to experience a hypnotic trance there needs to be an object of attention. In the everyday examples I mentioned above, the object of attention is the road that one is driving on, the TV show someone is watching, or the book in their hands. The important difference with therapeutic hypnosis is that the object of attention is the voice of the hypnotherapist and the instructions being given. Having made that distinction, the important questions for successful hypnosis then become; Can you follow simple instructions? How resistant are you in allowing someone guide you into a state of relaxation? What is the nature of your internal dialogue during the hypnosis? Are you in a comfortable environment? Do you feel comfortable with the therapist? Does the therapist have your trust? Do you believe hypnosis can actually get you the result you want? What is the quality of the suggestions? Are you expecting something that isnât going to happen? These are all elements that play an important role in determining the success of any kind of therapeutic hypnosis. These questions should be addressed and answered for the client by the hypnotherapist during the pre-hypnosis talk. This is an essential discussion had prior to the actual hypnosis. It sets the foundation for the right mindset needed by the client. Some of you may or may not know that the 31st of May is the annual World Health Organization's 'World No Tobacco Day'. Obviously this is a day to raise global awareness about the obvious and harm effects of smoking and using tobacco. The aim is to encourage all smokers to quit cigarettes as well as any other form of tobacco consumption. This is a wonderful initiative and you may have noticed more and more of these kinds of 'awareness raising campaigns' happening. Not only on a global scale, but also on a national and local government level. This all seems to have happened when scientific evidence was found that smoking cigarettes and nicotine does actually cause cancer. For the longest time this was not proven, but then it was proven. Once these findings were released, then began campaigns, labeling on packets and restrictions on places to smoke. Our governments are always in a constant juggling act between protecting a huge revenue maker and protecting the health of the Australian public. So lets support this day. If you're a smoker and want to quit cigarettes, perhaps you could cut down the smokes you have that day, or maybe not even smoke at all to show your aupport of this healthy initiative. Just thought I would let you know that I will be presenting a workshop at "The Ultimate Health Event" Their slogan is: "Raising awareness and connecting people to complementary health therapies and products" I know the organisers personally and its going to be an amazing event. This is its first year with many more to come. If you want to know anything at all about complementary health, this is where you need to go to people. It's a two day, weekend event but Iâm going to be presenting at 11:30am on Saturday the 28th at Sydney Showground, Exhibition Hall Olympic Park Homebush (more details below). In today's modern world our day, and time in general, is just going faster and faster. All our inventions and advancements in technology seem to be helping us get more and more done. As a result we are expecting more and more from our bodies and really notice the effects of any physical âdown timeâ caused by illness. Most of us just don't have time to be sick right? So how can we avoid this? The obvious answer is a healthy lifestyle, a balanced diet as well as a few good preventative measures. That could be supplements, vitamins or treatments; whatever works for you. This event is sure to open your eyes to an entire new approach to your health and well-being. There are going to be many stalls, speakers, seminars, demonstrations and workshops. I will be hosting one of the workshops to tell people all about my Quit Cigarettes In 60 Minutes system. Since it is a completely natural way to give up cigarettes without dangerous drugs or chemicals, it is a great fit for the event. Please come along, have a listen and ask as many questions as you want! There is a multitude of reasons you may have tried to stop smoking unsuccessfully before. Many of these reasons can stop you in your tracks and be quite frustrating. Have you ever tried to quit and found the withdrawal symptoms just too much to deal with (or maybe your friends told you they liked you better when you had your daily fix?)? Well, What if I told you can quit easily? Hmmm, you may think I'm crazy. And I wouldn't tell you this if I hadn't seen this happen time and time again with my two eyes. You see I am a trained quit cigarettes specialist in Sydney Australia, I have an undergraduate and postgraduate degree in Psychologu and I use a combination of hypnosis and NLP to help people kick the habit in one session. Before I became a specialist and completed my training and certification, I also thought this might just be a load of @#$%. But the truth is I've been at it for a while, and I have already helped literally hundreds of people quit cigarettes permanently using this proven system. You May Be Wondering What is This System and Why Does it Work? Now the beauty of using a combined system of Hypnosis and Neuro Linguistic Programming to quit cigarettes is that it deals with ALL of the above reasons. It deals with all your specific reasons for quitting and why you havenât quit in the past or what stopped you from remaining a non-smoker. You wonât find the need to find replacements like eating more. It will not feel like you are using your will power, it wonât feel like you are giving something up. The system uses your unconscious mind to come up with healthy alternatives to smoking cigarettes to avoid the common reasons why you might have failed in the past. Now I know many of you may be afraid to try hypnosis and have heard some scary things about it in the past. But rest assured this is a safe and clinically proven way to quit cigarettes. See, hypnosis can't really get you to do something you don't want to do (certainly not make you click like a chicken ;) ). Quitting Cigarettes has so many associated symptoms that it is sometimes hard to tell them apart. One of the biggest mistakes many people make when they try to quit smoking cold turkey is to confuse a sugar withdraw with a nicotine withdraw. Although some of you will experience nicotine withdraw when quitting cigarettes, the percentage is surprisingly low. Most people are actually experiencing a sugar withdraw, the symptoms of this can be quite uncomfortable. Why Do You Experience Sugar Withdraw When You Quit Cigarettes? One of the shocking facts almost no one talks about is the high sugar content in cigarettes; surprised? In fact depending on what brand you smoke, 8 to 18% of that cigarette is sugar. This is one of the main reasons people have a cigarette brand preference and do not easily cross over to another brand. Other than this being extremely unhealthy, when smoking also inhibits your body from properly processing sugar, so when you try to quit cigarettes your body must readapt. This means that by smoking cigarettes you are "keeping" your blood sugar unnaturally high! How Can You Avoid Sugar Withdraw Symptoms? The first thing your body will subconsciouslytry to do is to elevate blood sugar levels. The easiest way to do this is by creating a craving for food! Hey; I don't want to gain weight when I quit smoking! 1. You will control what you are eating - to prevent this from happening to you, all you need to ensure is that you eat healthy sugars; fruit, fruit juice, nuts, grains etc rather than sweets and chocolate. Also, drink plenty of water. Water will reduce cravings and hydrate your cells. This will also have a positive effect on your skin! 2. You will not gain unnecessary weight. When you quit smoking with hypnosis, many of these "craving' can be avoided, simply by the natural effect of the treatment. Since when you use hypnosis to quit smoking, you get to the cause and real reason for smoking, so wonât feel like you are âdealing withâ anything. You simply won't feel like having a cigarette again. For more information on Quitting Cigarettes with Hypnosis using the Quit Cigarettes in Sixty Minutes please contact met on 1300 883 272 and take control of your life today! This is just some of the things that I have been helping people with over the last 5 years. I've now seen almost 1,000 clients and have also been featured in The Australian Woman's Weekly and Woman's Day magazine. How do I help people do what they need to do when they need to do it? By using the power of your unconscious mind, Hypnosis and Neuro Linguistic Programming (N.L.P). No one is born with any limiting habits or behaviors, it's something that is picked up, learned and then maintained by your unconscious mind, It's your unconscious mind that is maintaining all your automatic behaviors and its for this reason that we find it hard to make these changes using JUST conscious will power alone. If it was this easy, wouldn't we all be the most perfect human beings? Of course, we wouldn't have any issues at all. The simple fact that we are not doing the things we know we should be or doing things we now we shouldn't be is the simple proof that there must be some other part of you mind that just isn't on the same page. Contact me for a free phone consultation about how I could help you. tax increase on cigarettes from midnight tonight, all disguised under a government faÃ§ade to make them seem like they care about your health. Tax Increase Quit with Nick Coupon: 50$ Off One on One Quit Smoking Hypnosis Session With Nick! Call 1300 883 272 and reserve your session today! They say the money is going to be directly put into hospitals, oh really? Whatâs been happening to the hospital system, beds, staffing etc over the past few years? Going backwards thatâs what! Whereâs all the taxes taken from tobacco gone to date? Definitely not back into hospitals! So why should the public think this additional money is going to be redirected to hospitals. How much additional money is this cigarette tax increase going to generate? How about $6.4 billion!!! For a long time, the direct link between cancer and smoking was not scientifically validated. Itâs not been years since science was finally able to PROVE that it directly causes cancer. Whatâs the Government done since then? NOTHING! Think about how disgusting it is that a government can continue to make such high taxes from something that has been PROVEN to KILL YOU!!! A 25% rise is coming into effect tonight, with more rises to occur in 2011 and 2012. Iâm a Quit Cigarettes in 60 Minutes Specialist and this stunt by our government is appalling. I want to empower you to quit, and I can help you do that in just one 60 minute session that is backed up with a lifetime guarantee. Iâm so committed to this, that if you just mention this blog post, Iâll give you $50 off my usual rate. Take back control of your life and send this government a message loud and clear IâM GOING TO STOP PUTTING MONEY IN YOUR POCKET!! or give me a call on 1300 883 272 and reserve your session today! "The first key ingredient for success: you have to want to quit for yourself. " The following article is one of a series of articles to empower you so that you can make a decision of whether this system of hypnosis combined with NLP is for you. It only takes 60 minutes and is back up with a 100% lifetime guarantee, so you have nothing to lose. 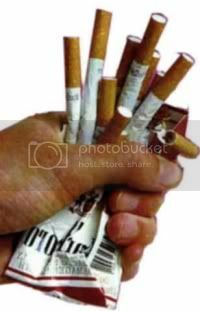 You will easily spend the cost of one stop smoking session buying cigarettes in no time, especially considering the substantially longer life you will have once you quit cigarettes with hypnosis... This means that if you ever pick up smoking again in your lifetime, all you have to do is call me and Iâll do a second session with you at no charge. I used to be a smoker, so I know how hard it can be, but it doesnât have to be like that if you come across the right treatment for you. Do You Really Want to Quit Cigarettes for Good? Now, Iâm going to share with you bit by bit the key elements that you need to know to put you in the optimal mindset to allow this treatment to work for you. People often want to know if the quit smoking with hypnosis system is going to work for them. And I always say, itâs not really a matter of whether it will work for you, the question is if you are in the right frame of mind to allow it to work for you . The first key ingredient that you need to be aware of to allow hypnosis to help you quit cigarettes in one session is that you have to want to quit for yourself. A lot of smokers know they should quit, they know they need to quit, but might not necessarily want to quit, and this is a crucial element. After all, hypnosis can not get you to do anything you donât want to do for yourself. If you are going a long to a session predominately for some reason other than for yourself, it will more than likely translate into the way you listen or receive the suggestions and you may not get the success that you want. Only a smoker will know when they have arrived at that point. No one can put you there. Basically, you are in the optimal mindset if you have reached a point where you are seriously ready to walk away from cigarettes and cut ties with this thing you may have been doing all of your adult life. Itâs a big step to take, and not everyone is ready to take that step. I have turned some people away in the past because after a conversation, itâs become clear that they simply are not ready to take that step. A personâs mind set with the quitting smoking with hypnosis system is crucial because it will determine the nature of the suggestions going into your subconscious mind (learn more about the subconcious mind and join my mailing list to receive my free report). During our day to day life we have a filter between the events of the external world coming through our senses and the judgement we make about that experience. This is the filter which can either make or break your Quit Cigarettes session. This is a key element to be addressed during a Quit smoking in sixty minutes session with me. Call 1300 883 272 to find out how you can be a non-smoker in one easy session - Do it for yourself!